Over time, the jaw bone shrinks in size. This process is called resorption because the body reabsorbs the calcium in the bones. While this is common in most patients, resorption accelerates in patients with missing teeth. The tooth roots serve an important function, as they stimulate the jaw bone to remain healthy and full. Adequate bone density is necessary to support a dental implant. Saidi Dental Group offers supplemental procedures to prepare you for dental implants. Patients with an advanced bone loss on the upper jaw may need a sinus lift. This procedure protects the delicate sinus cavity and prepares the area to receive a dental implant. The process involves adjusting the sinus membrane upwards, the remaining space is filled with bone grafting material. Once integrated, the bone structure will be strong enough to support a dental implant. 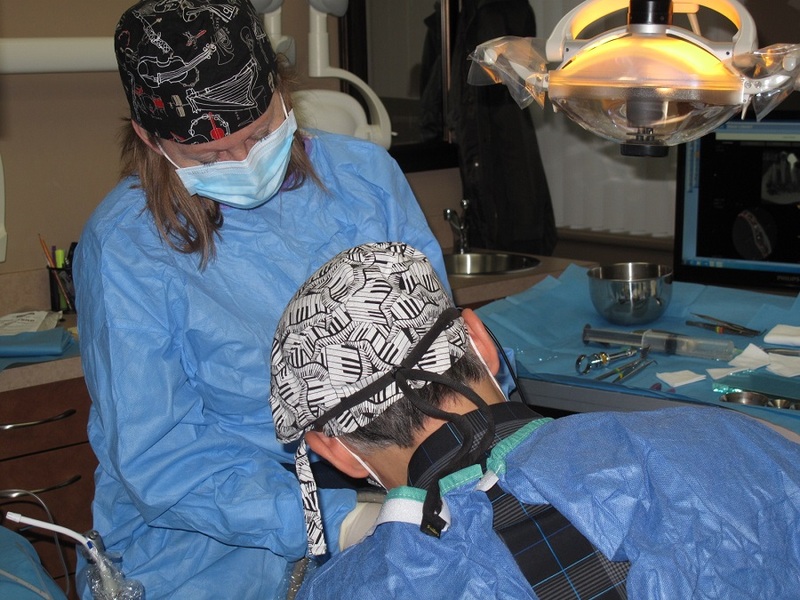 In this procedure, Dr. Saidi adds bone material to the jaw. There are several methods for accomplishing this. In a socket graft, the empty space is filled with artificial bone graft material immediately following tooth removal. In advanced cases, blocks of bone sourced from the body are placed in the empty space. The essential difference between a bone graft and a sinus lift is the placement of the new bone material. In a sinus lift, the new bone will grow where the sinus used to be. In a bone graft, the new material is placed on top of existing bone. Once it’s determined you have adequate bone volume, a dental implant can be properly placed. The dentist simply installs the titanium post into the jawbone. Once the implant has integrated into the bone structure, it is ready for a permanent restoration. The team at Saidi Dental group ensures our patient’s dental surgery experience is as comfortable as possible. At Saidi Dental Group, our dedicated team provides dental surgery for those experiencing significant oral health concerns. We pledge to provide the highest standards in oral care. Dr. Saidi and Dr. Jin take a gentle approach to each procedure we perform. Call our Langley office at 604-757-1224 to learn more about how we can help.